In addition to easy and fast transaction, Boost customers also will earn rewards each time they make a purchase. In the holy month of Ramadhan, Boost customers now can do good by sharing and donating their rewards to list of charities through the Boost app. The month of Ramadhan is now in full swing and something interesting this year is the Cashless Ramadhan Bazaar introduced by Boost, the leading ewallet application. Aiming to provide convenience and fast transactions during the usually crowded Ramadhan Bazaars, Boost has enabled food operators in Ramadhan Bazaar to now accept Boost payment. 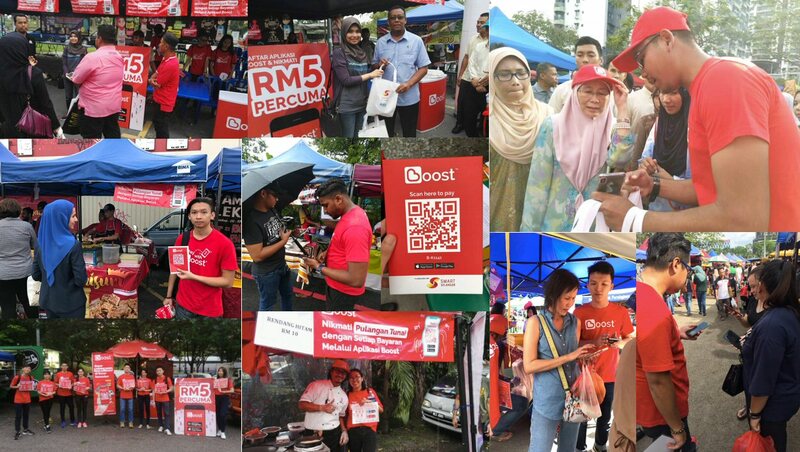 As part of education roadshow, Boost team has stationed Boosties in the Ramadhan Bazaar to educate new users on the benefits of going cashless. In one of the Ramadhan Bazzar, the Boost team receives a surprise visit from an unexpected visitor. Newly appointed Deputy Prime Minister (DPM) of Malaysia, Datuk Seri Dr Wan Azizah, dropped by one of the Boost's booth; of course, this is while she is doing the daily round of shopping at the Pandan Indah Ramadhan Bazaar. The new DPM quickly learnt the wonders of going cashless and, as a result, how it's very beneficial for all. As expected, she quickly grasp the concept and shared how she'd like to explore the platform further. The Cashless Ramadhan Bazaars are on going until end of Ramadhan and will be expanded to more locations - so do keep out an eye for the bazaar near you or follow the @myboost Facebook page. Boost is a leading e-wallet application with over 2.4million users with online and offline merchants located in over 16,000 touchpoints. Boost aims to revolutionize the way Malaysian consumers transact by creating a seamless payment experience without cash or cards through scanning QR code. As a lifestyle application, users can perform services such as buying prepaid top ups and digital vouchers as well as gifting them, free money transfers and even "Go Dutch" with its unique split bills feature. Users also get instant cash back when using the service with rewarding and addictive experiences.